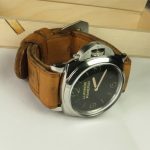 If you are a fan of Panerai history and love the vintage look that they possess, then you are also most likely draw into the many different straps that are available for these beautiful watches. One particular segment of the strap market is based solely around using vintage leathers or even distressing the leather to give it an artificial aged looked. 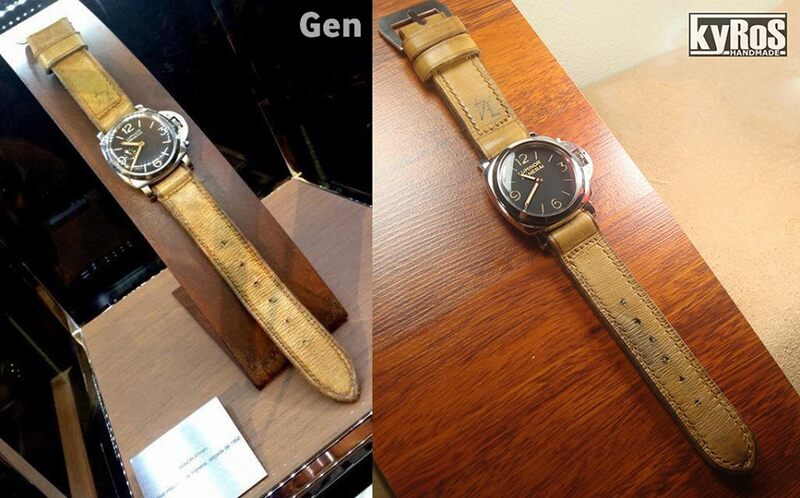 One of the most iconic vintage straps that is embedded into the Panerai DNA is the 74 strap that has been linked to the Panerai museum where they displayed a Ref. 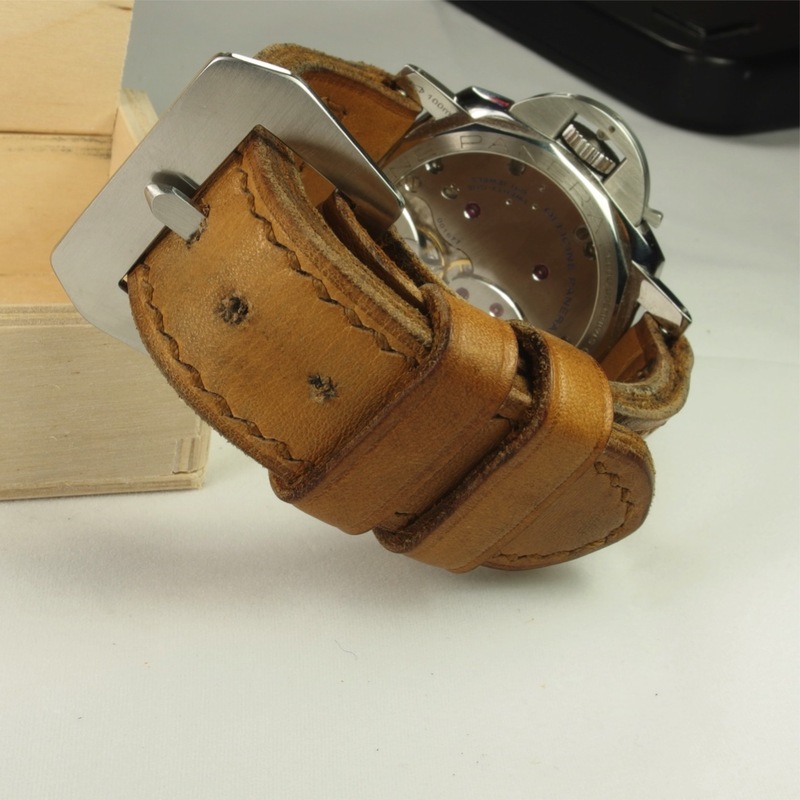 6152 with this type of strap. 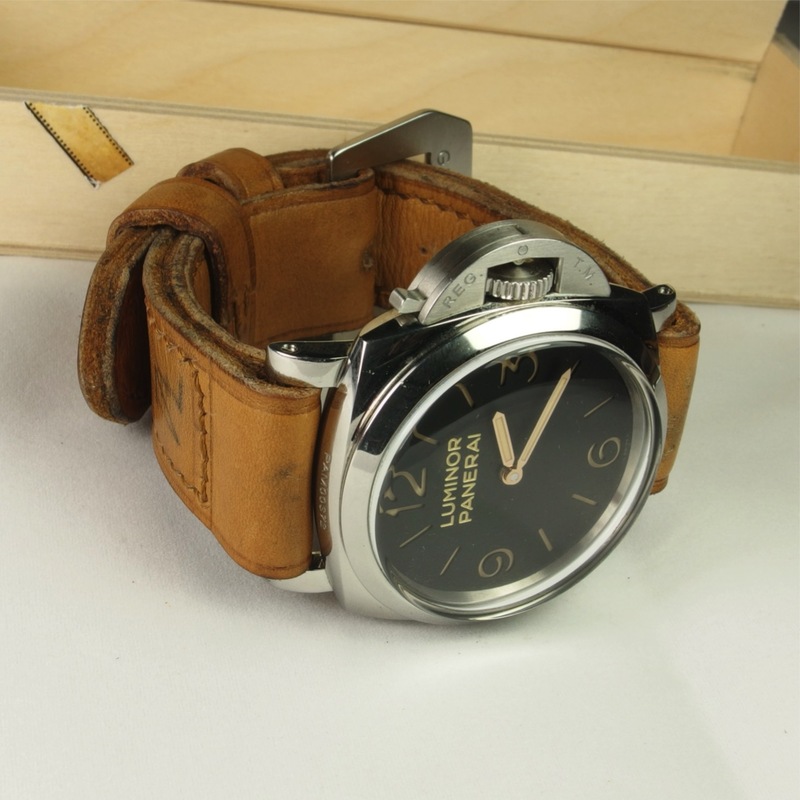 The 74 on the strap is nothing more than a stock number for the museum, but it has quickly turned into a strap that every panerai fan lusts over and wants to add to their collection. 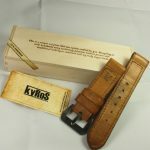 Today I will take on the review of a new strap maker, Kyros Handmade from Europe, that has attempted to replicate this iconic strap with his new Project-74 strap. 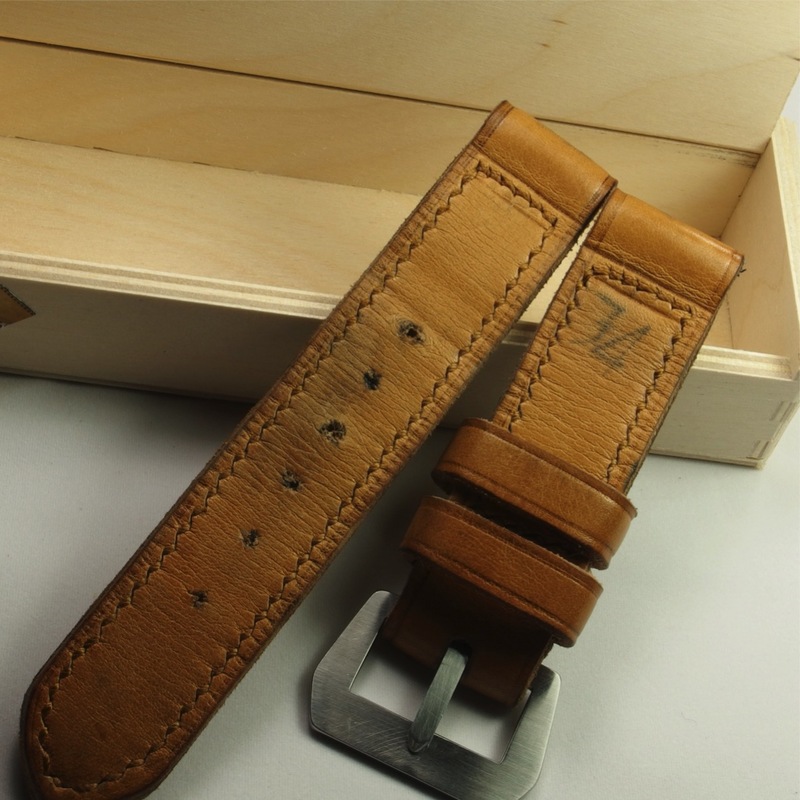 The best way to describe this strap is to compare it to the original one as best we can. The Project 74 strap is made from a light brown with yellowish hue soft leather and has been finished to have a dirty and distressed vintage look. 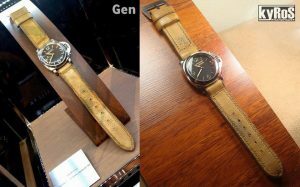 The hue of the strap is very precise and close to the originals as you can see in the pictures below which compare the original 74 strap and the Kyros Project 74. I can honestly say the pictures don’t do the color justice on this strap. 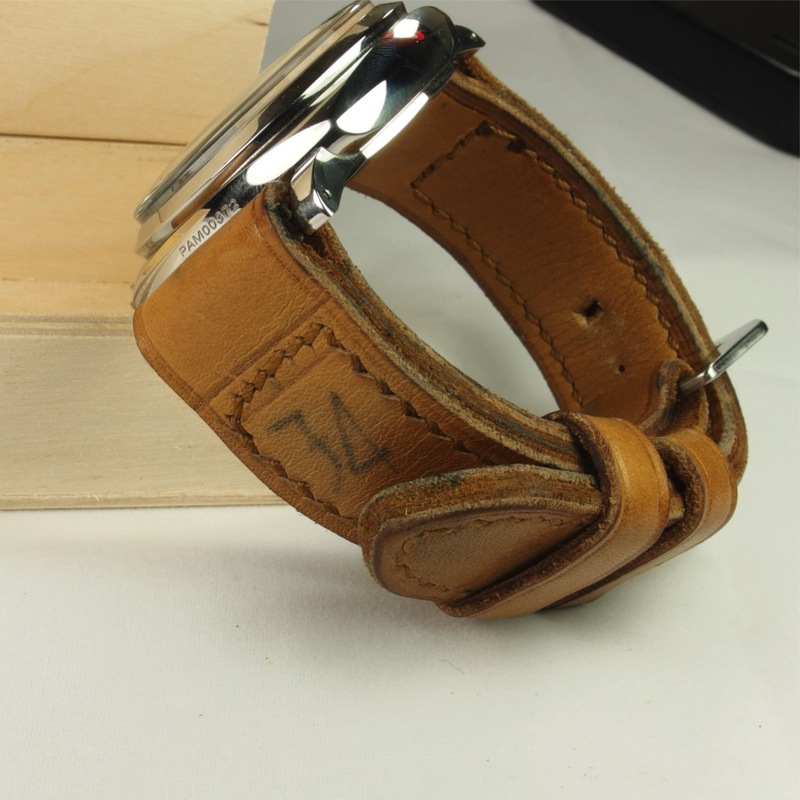 There are always a major discussion on the how accurate the strap makers create the color of the strap and Kyros has done an amazing job with this portion of it. 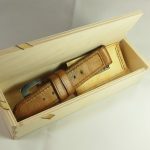 The strap is constructed with 4 layers of leather on both the tail and buckle end of the strap giving it a very hefty thickness as you can see in the pictures. 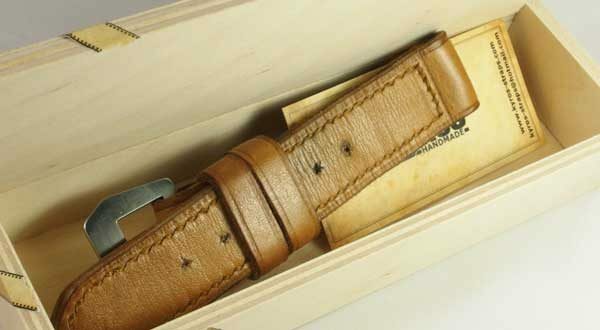 Other straps I have seen in the market implement a 2 layer on the tail end and a 3 layer on the buckle end which is substantially thinner than the Kyros strap. 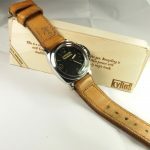 Depending on what your preference is you might really enjoy the thicker look of the Kyros strap which looks amazing on a nice 1950’s Luminor case. That case tends to be top heavy and doesn’t wear well if you have a thin strap so this thicker version actually secures the watch nicely to the wrist. 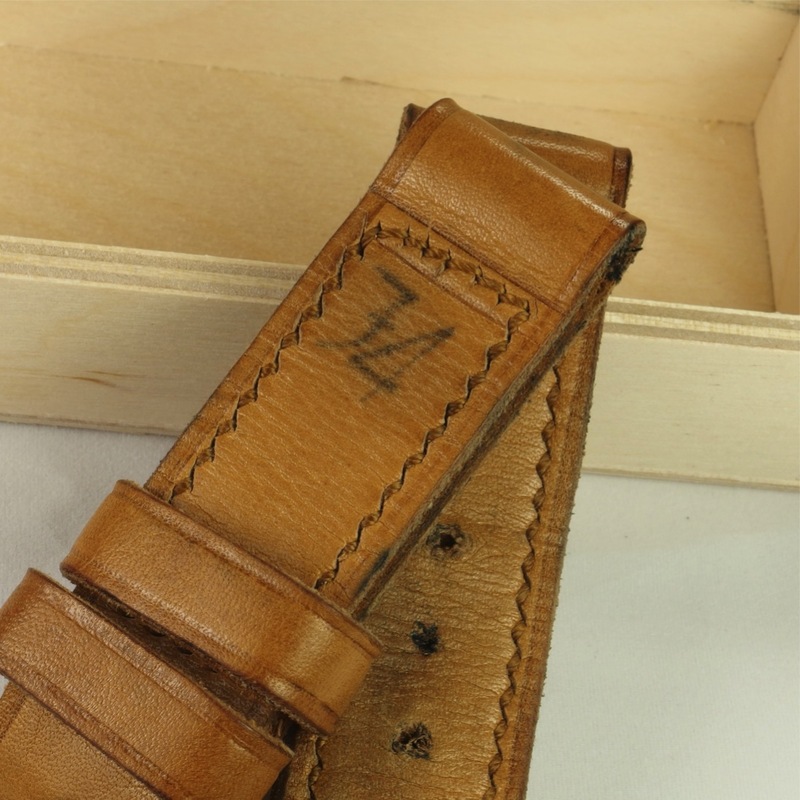 The stitching on this strap is done in a darker brown color and thicker thread as opposed to the white/ecru stitching you find on some of the other 74 straps that are made. This color used by Kyros is very close to the stitch that is used in the genuine museum strap. The minor details are done very well such as the box where the stitching near the lugs on both ends of the strap as well as the crooked stitch near the buckle end exactly like the original. 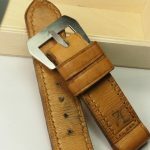 The iconic “74” on the buckle is done cleanly and precisely on these 26mm straps compared to a lot of other designers that have attempted to make this strap. 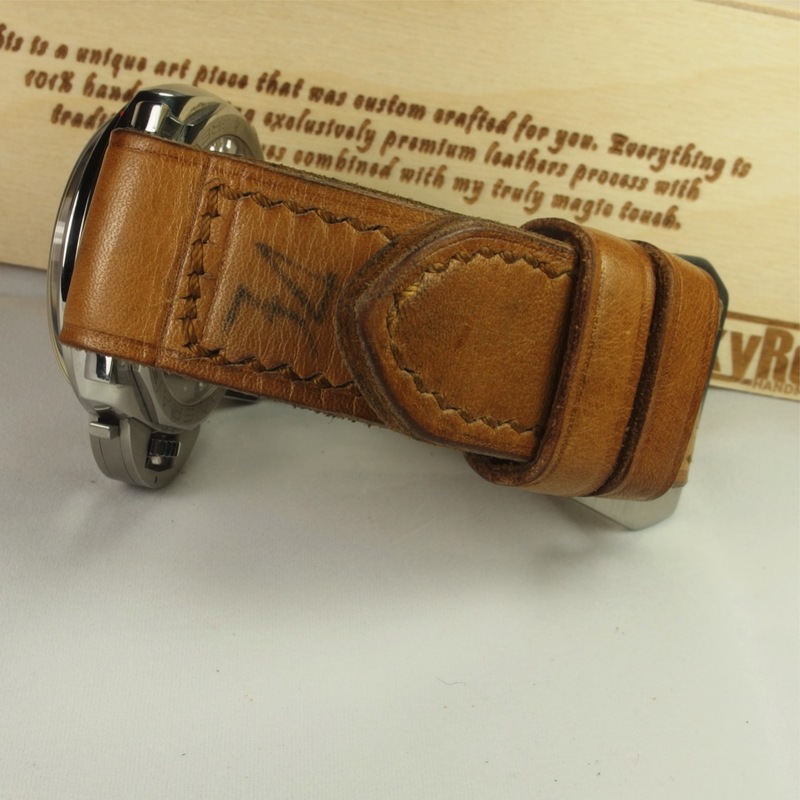 The strap is finished off with a hand crafted GPF buckle accurate to the time period and strap. When I had the strap in my hand for the first time I notice how malleable the strap is despite the thickness of the finished product. The Project 74 wrapped nicely around the wrist definitely didn’t bother me after days of wearing it. As I mentioned earlier, having the strap thicker really secured the watch down on my wrist and didn’t leave the watch with any play or tipping over. I have no doubt that over time as this strap gets worn in, the comfort level will continue to rise. When the strap first arrived, I was pleasantly surprised with the presentation. 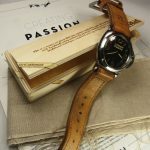 Usually new strap makers don’t take the time to worry about packaging and presentation. The Project 74 strap comes in a small wooden box with the a nice quote and the the Kyros logo. 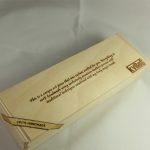 The small box is sealed with a sticker that says 101% handmade which is a nice little motto he has. He wants to always show that he tries to go above and beyond for his clients to bring a great quality product. For being a newer strap maker on the scene Kyros’ attention to detail is appreciated on many levels. I have been a fan of his work for sometime and been following his work on Instagram and glad to see his products getting the recognition they deserve. The holes were a little small and tight for the buckle but after breaking it in they are fine. All of Kyros’ straps are available and he does take custom orders.